This is the public profile of Jacen, Cheung Shing, Additional information and high-resolution images are available for accredited press members, to access additional information about Jacen, Cheung Shing please login as a press member. Jacen Cheung born in Hong Kong. Root in Shanghai China since 2012. 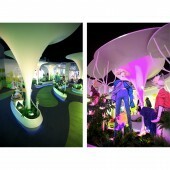 Works including Interior Design, Event & Exhibition Design, Advertising Creative & Art Direction. 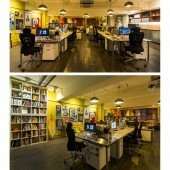 Downtown Creative is an internationally renowned retail strategy and design agency. We are passionate about the potential of retail.Retail is about more than stores and merchandise. It’s about telling meaningful stories. It’s about inspiring people with cutting-edge design. It’s about engaging each consumer in an integrated brand experience from the first moment. In short, it’s about connection.These days, competition for consumer attention is fierce, both on and offline. We help you cut through the noise. Our creative team is made up of the best minds and eyes in the industry. A close-knit group of retail architects, communication experts, interactive designers, visual merchandisers, marketing and branding professionals come from all over the world, we have studios in Europe and Asia. Our years of experience and our international. 2007-2008 Joey Ho Design Ltd.
Press Members: Request an exclusive interview with Jacen, Cheung Shing.